Luke Walton makes an immediate impression on his first day as head coach. 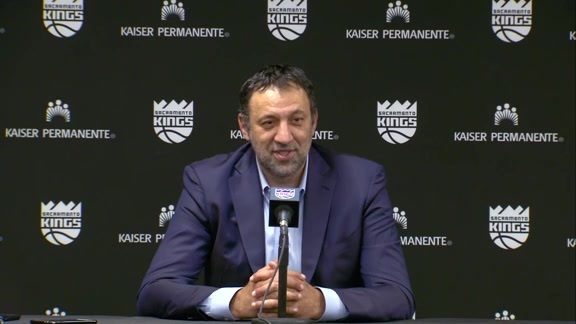 Vlade Divac didn't mince words on Monday afternoon during the introduction of his new head coach, Luke Walton. Divac played with Walton during the 2004-05 season in L.A., but the relationship is far more than former teammates. “There’s trust that’s already between us that would take years to build without having that history together," Walton explained. "I’m so excited to work side-by-side with him and this crew." 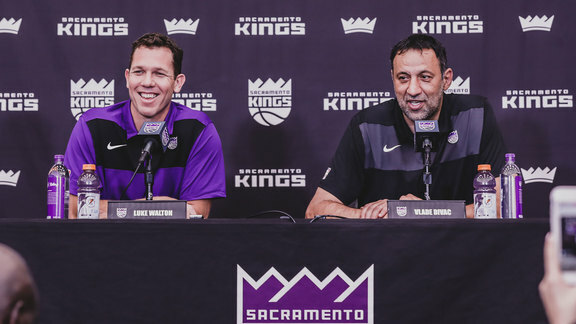 Walton joins Sacramento as the head coach after three seasons at the helm with the L.A. Lakers and two seasons as an assistant with the Golden State Warriors. When asked about his championship experience and what he could bring from previous success? "Defense wins championships," said Walton. "I love offense and how beautiful it can be when you have five guys moving the ball, but defense is what wins when it really counts." Despite finishing with a Top-10 offense and Top-5 in pace, the Kings were Bottom-10 in the league in points allowed and defensive efficiency. Another key component of Walton's tenure will be relationships. As the leader of a young Lakers team, players admired Luke for the freedom and accountability he bestowed upon his team. "[He allowed] me to be me from Day 1," Lakers forward Kyle Kuzma said via Twitter after his departure. "They say opportunity is everything in the league and [he] gave me that right from the jump." 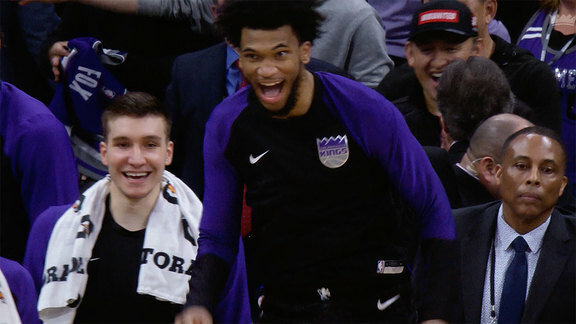 Walton is once again tasked with leading a young group, and he couldn't be more excited for the challenge that awaits him in Sacramento. "It’s about building the habits," the new head coach explained. "The winning takes care of itself when you have the right habits, the right people, and are playing the right way." Those habits began building on Monday.